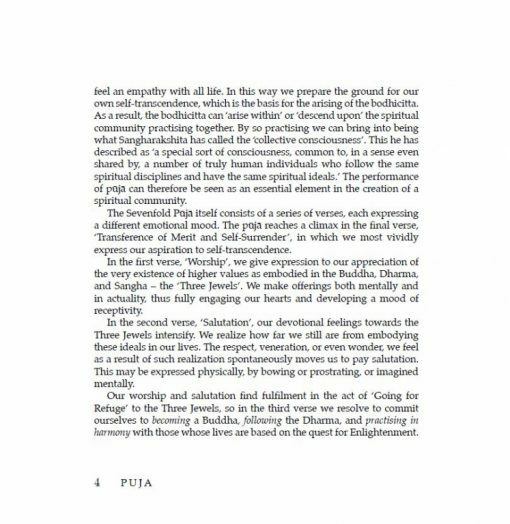 Puja: The Triratna Book of Buddhist Devotional Texts is a beautifully illustrated collection of Buddhist devotional rituals and verses. 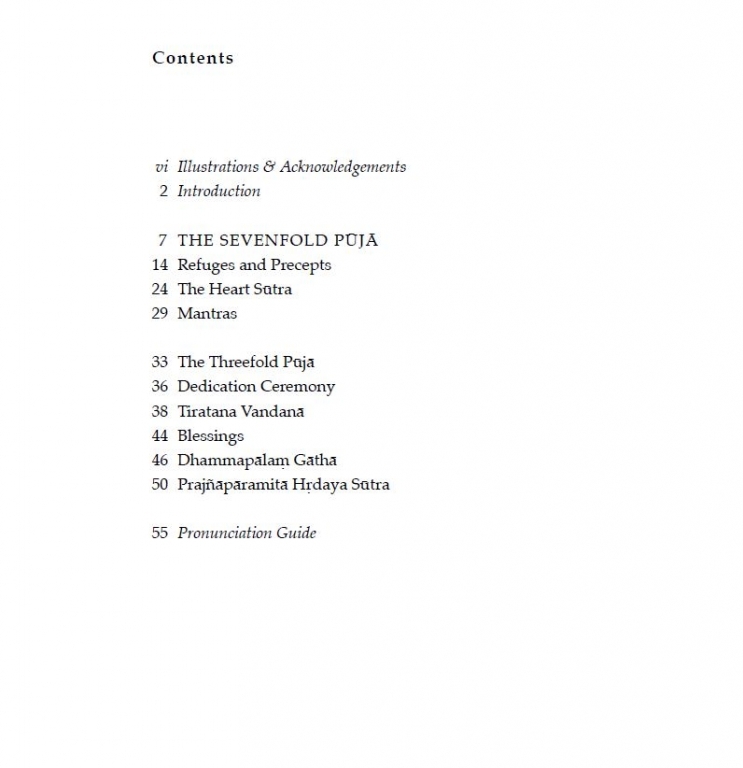 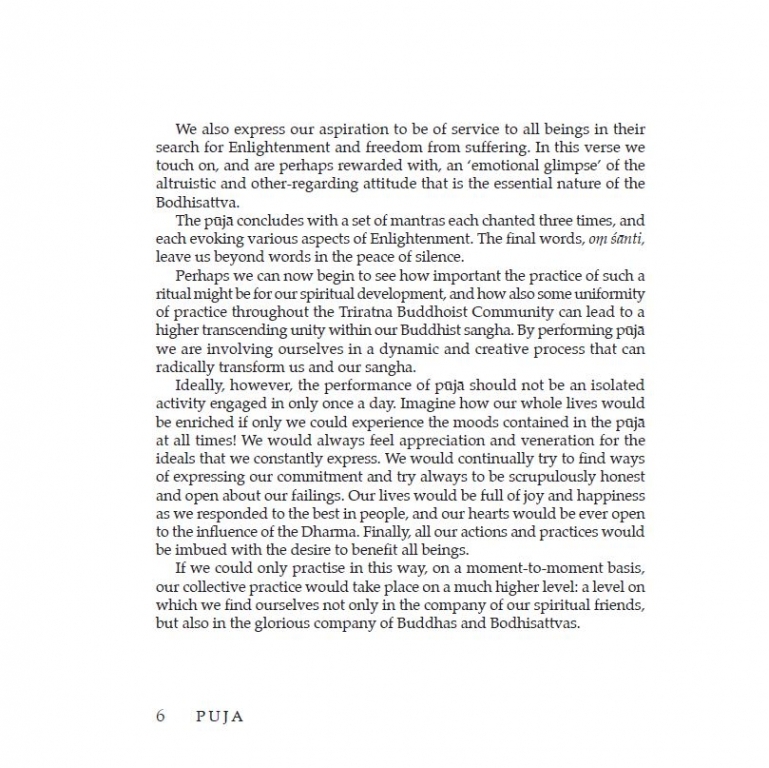 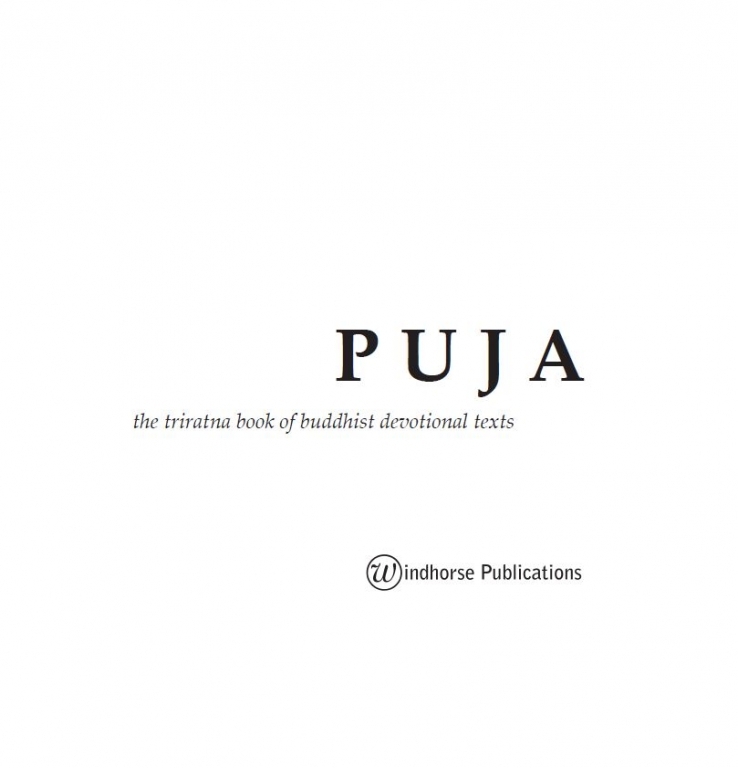 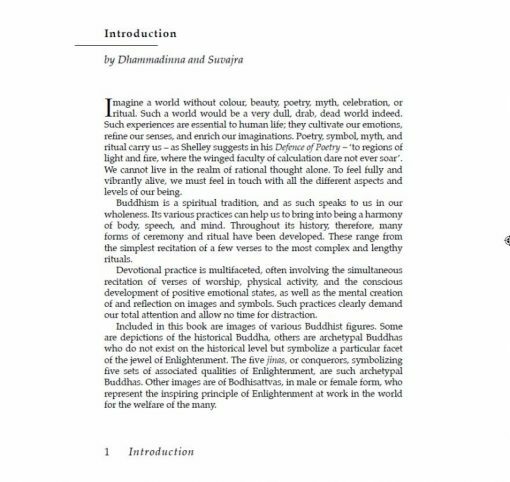 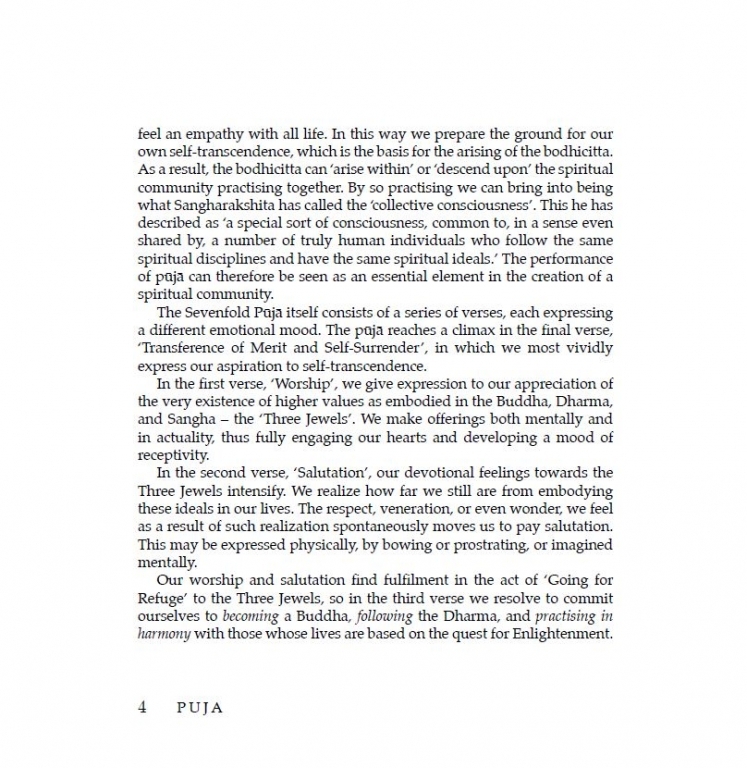 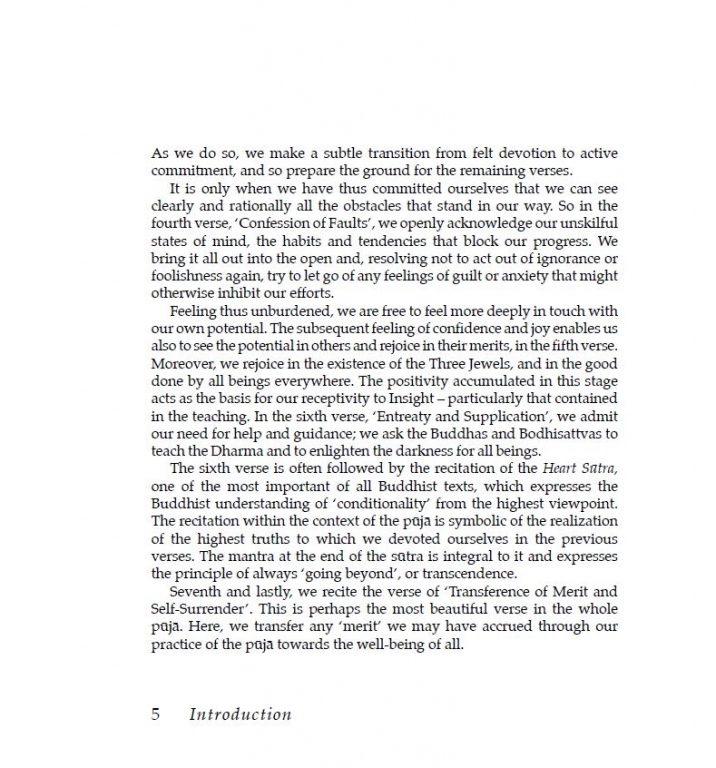 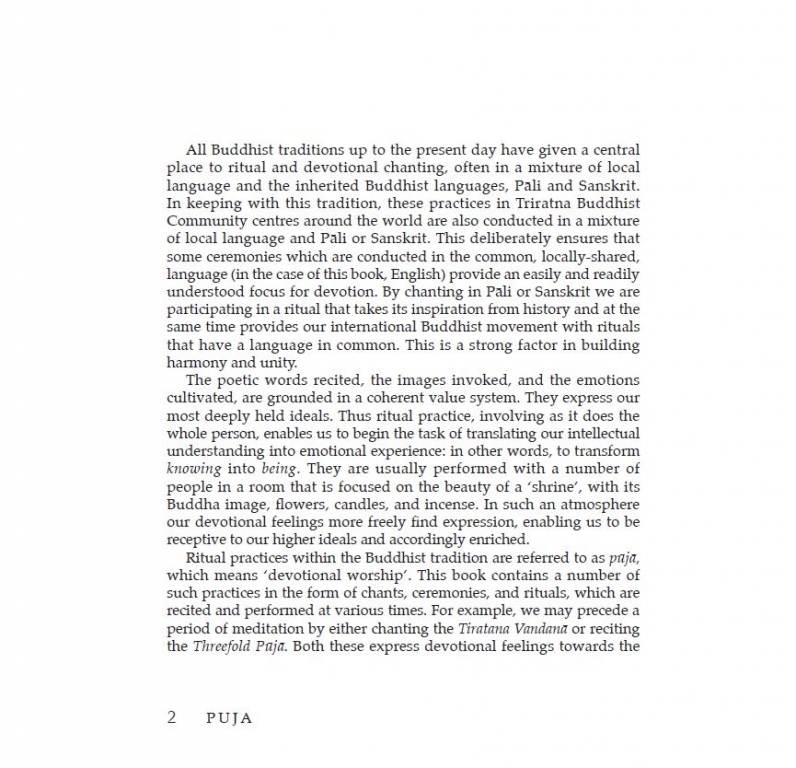 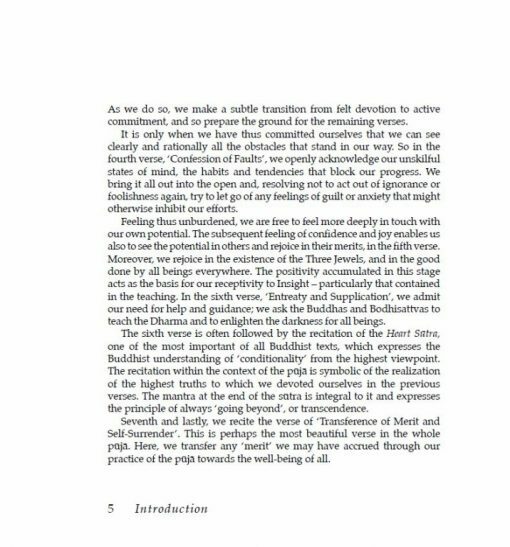 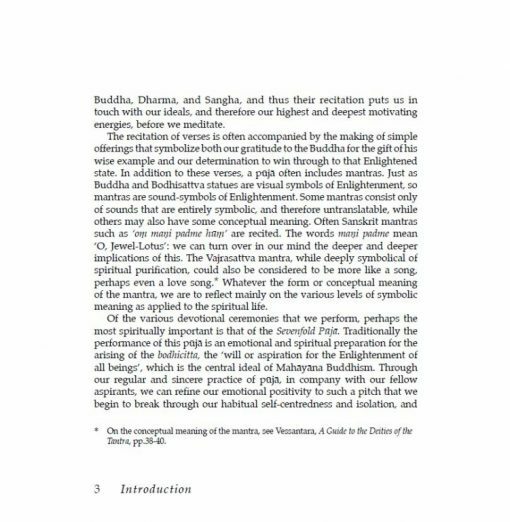 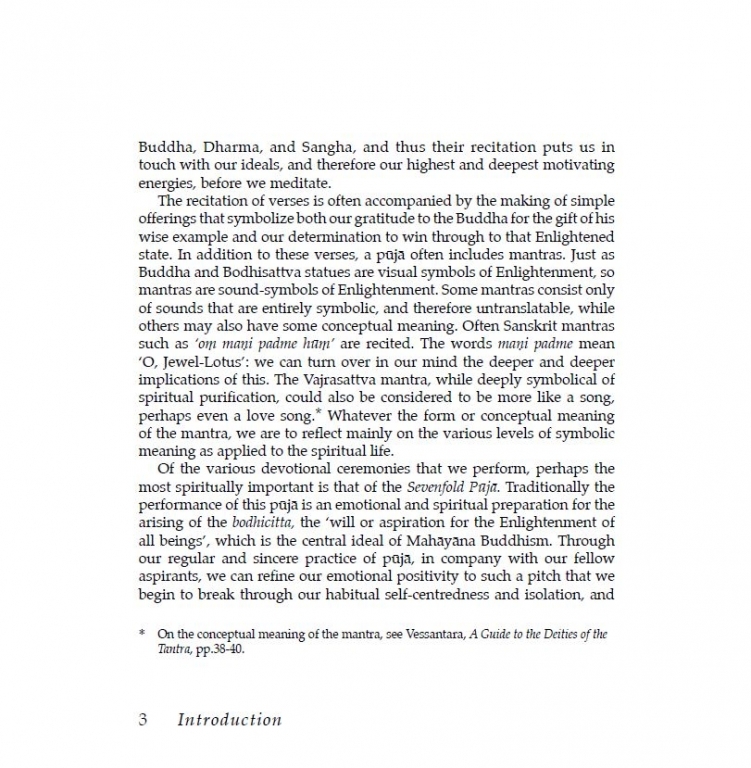 The Triratna Buddhist Order Ten Precepts have recently been revised, and have been incorporated into this eBook edition of Puja. You can also find the new precepts here. 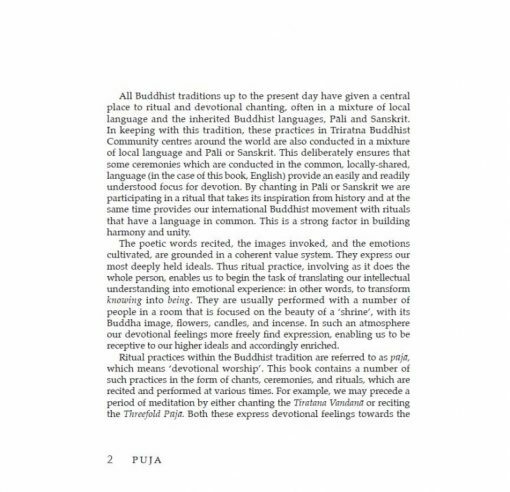 The chanting of devotional mantras and verses has been performed by Buddhists worldwide for centuries to encourage the arising of the Bodhicitta within: the desire to seek Enlightenment for the sake of all living beings. This beautifully illustrated edition collects a number of Buddhist devotional rituals and verses. 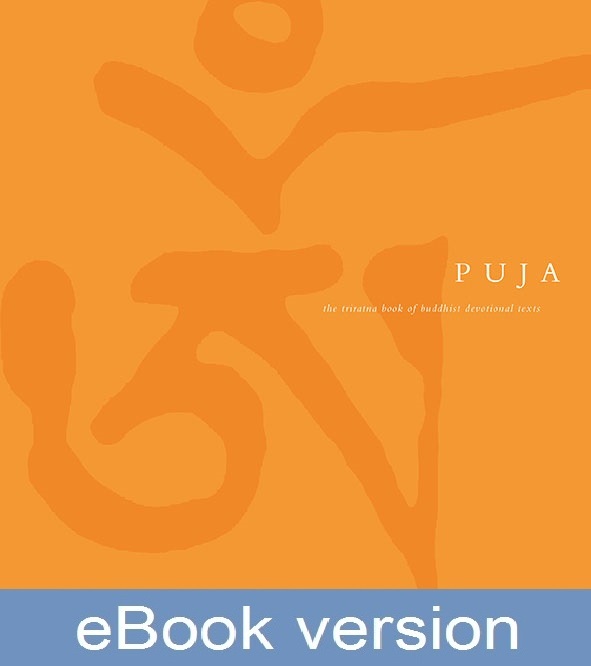 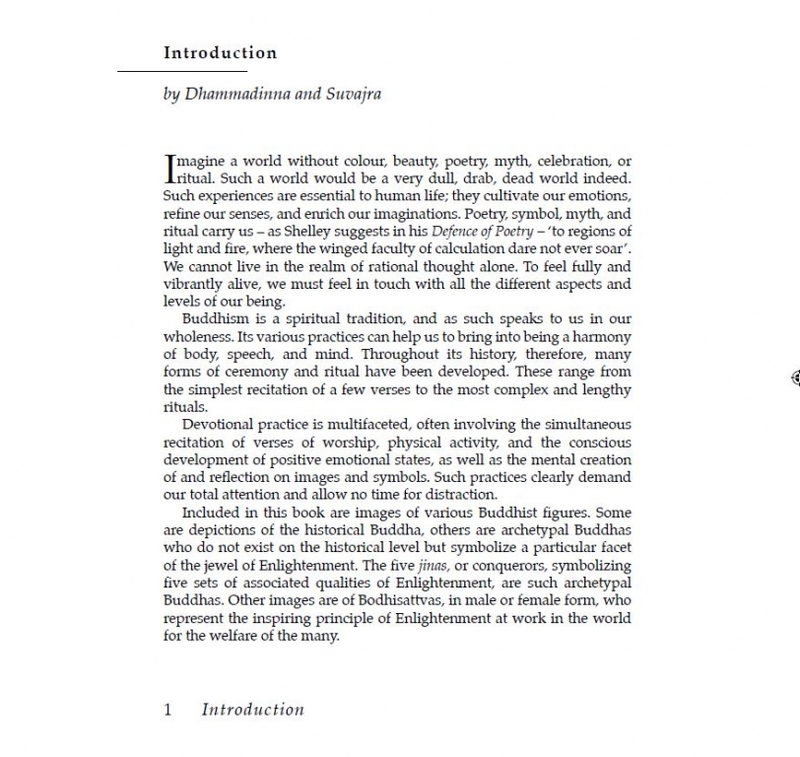 English translations of the verses in traditional Buddhist languages, Pali and Sanskrit, allow the reader to focus more clearly on the particular aspect of their practice, while chanting in one of the two ancient languages provides a worldwide link between Buddhists.